With EDC and Father’s Day now firmly in the past and Fourth of July fast approaching, you might be thinking there’ll be a lull in Vegas this weekend. Well, think again. This is Sin City, after all – and something incredible happens here every freakin’ day. This Wednesday hockey fans can see their favorite players at the 2015 NHL Awards. Country music lovers will discover Reba and Brooks & Dunn in the saddle at The Colosseum at Caesars Palace. Some wildly funny guys, cool bands and hot DJs will be rolling into town this weekend too. Rob Riggle (left) and Daughtry are appearing at the 2015 NHL Awards at MGM Grand. Who will get the trophies? OK, the Stanley Cup has been awarded to the Chicago Blackhawks. So now it’s time to see which players and coaches will score the Hart Trophy, the Vezina Trophy, the Norris Trophy, the Calder Trophy and a lot of other laudatory stuff for the past season. The 2015 NHL Awards will be broadcast live from the Grand Garden Arena at MGM Grand on June 24 at 4 p.m., with doors opening at 3 p.m. Comedian Rob Riggle is hosting. He’s sure to have everyone in stitches (and thankfully, not the kind you get from being clobbered by a hockey stick). The band Daughtry will put on a rocking performance too. Laugh it up with comedians Bill Burr (left) and D.L. Hughley. This weekend’s Rock of Vegas concert features Smash Mouth (left) and Toad the Wet Sprocket. When we saw that Smash Mouth and Toad the Wet Sprocket were on the lineup for the Rock of Vegas concert at Fremont Street Experience on June 27, we were ready to buy tickets. But it turns out we don’t have to because these concerts are free…and that makes Saturday’s show even more awesome. Get to the 1st Street Stage early (before the 9 p.m. start time) so you can claim a spot up front to see these well-loved bands that rose to fame in the ’90s. You’ll have to fight cult-like fans like us for space to shake it when Steve Harwell belts out “Walkin’ in the Sun” and to sway when Glen Phillips sings “All I Want” with his sweet-as-honey voice. 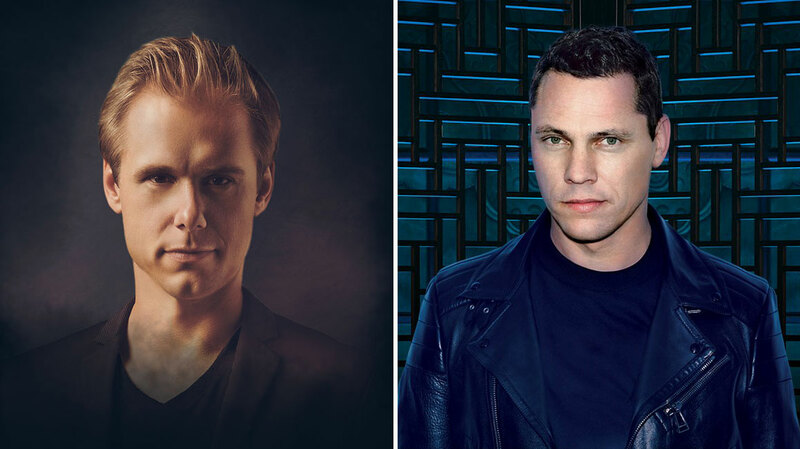 DJs Armin Van Buuren (left) and Tiësto are spinning in Sin City. The Strip certainly has a monopoly on megaclubs. If you’re in search of a night of drinking and dancing to music spun by the top DJs on the EDM scene (and who isn’t? ), head to one of these heaving hotspots this weekend: Light at Mandalay Bay featuring A-Trak on June 26 and Morgan Page on June 27; Hakkasan at MGM Grand featuring Tiësto with Dzeko & Torres on June 25 – 26, Showtek on June 27 and Jesse Marco on June 28; and Omnia at Caesars Palace featuring Armin Van Buuren on June 26, Martin Garrix on June 27 and Afrojack on June 28. Kix Brooks, Reba McEntire and Ronnie Dunn have reunited at The Colosseum. Last week a trio of kickin’ country artists took the reins in The Colosseum. 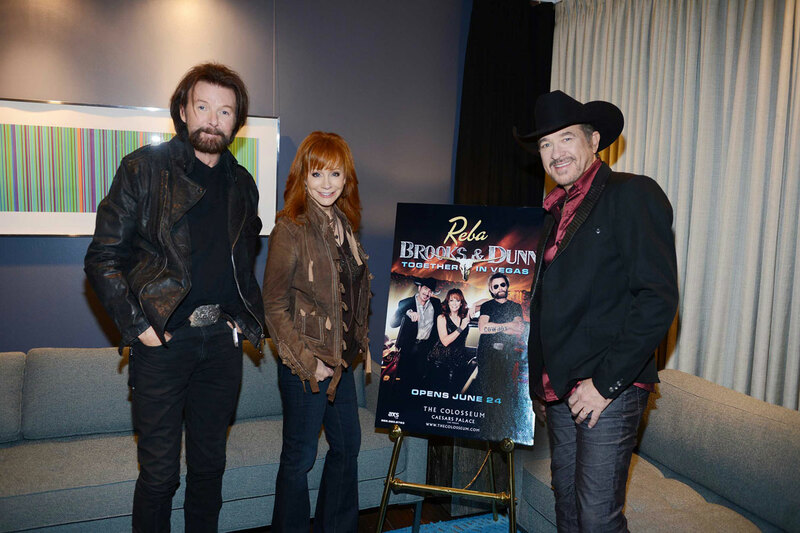 So boot scootin’ boogie yourself over to Caesars Palace to give Vegas’ newest residents – Reba McEntire, Kix Brooks and Ronnie Dunn in “Together in Vegas” – a down-home welcome. They’ll be performing on June 24 and 26 – 27 at 7:30 p.m. Because these legends have joined forces, you’ll get to hear a selection of take-you-back hits culled from the red-headed Queen of Country’s 35 No. 1 singles and the superstar duo’s 23 chart-toppers, among others in their expansive song catalogs. They’re guaranteed to rock your world. The elevated Radius° Rooftop Pool & Wet Lounge is among Vegas’ new daytime and nighttime hotspots. If it’s summer (all the sweat dripping from your brow and everywhere else on your body should assure you that it is), then you should be at a pool club. 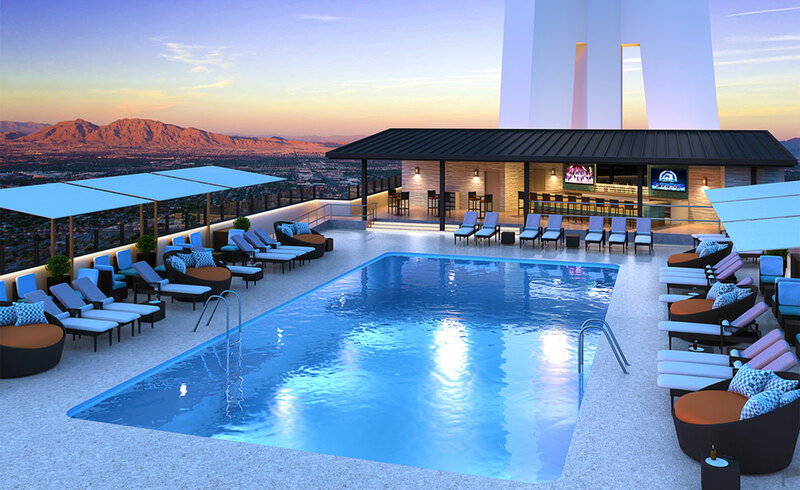 Stop by the recently opened Radius° Rooftop Pool & Wet Lounge at the Stratosphere. It’s located on the 25th floor, so when you’re not checking out all the beautiful bodies soaking up the sun, you’ll be able to take in some pretty spectacular panoramic views of the city. On select Fridays throughout the summer, the pool that’s home to Rehab at Hard Rock Hotel & Casino will feature fabulous poolside concerts. Called “Friday Night Live at the Pool,” the June 26 lineup includes Rusted Root, a jam band known for their strong drumming and hypnotic vocals, and Moksha. The show starts at 9 p.m. There are two new restaurants to try in downtown Las Vegas. Siegel’s 1941 opened last week in El Cortez. At one time the historic hotel was owned by the likes of Bugsy Siegel, Meyer Lansky, Moe Sedway and Gus Greenbaum. Siegel’s 1941 pays homage to them. You can order things like the Bugsy Siegel burger with applewood bacon, grilled onions, cheddar cheese, tomato marmalade, pickles and Dijon mustard or the Virginia Hill “Flamingo” turkey burger. Vegetarians will enjoy the Moe Green Veggie sandwich. Of course, there’s a lot more on the menu in this 24-hour restaurant. Also in the vicinity is Zydeco Po-Boys, a sandwich shop with Creole flair. 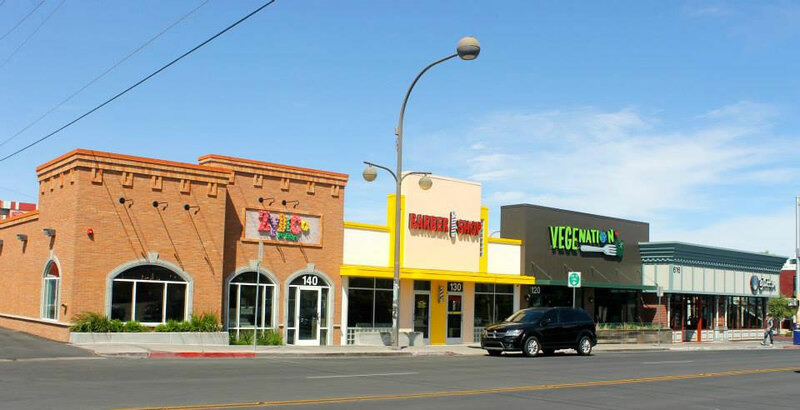 Located at 616 E. Carson Ave., this place is great for those who like spicy food. Add some Cajun flavor to your life by trying a fried catfish po-boy sandwich or the Dirty Cajun Fries.